Judge Manderfield affirmed the Michigan Department of Environmental Quality’s decision to issue a permit for the Eagle sulfide mining project in the Upper Peninsula. Prior to this decision, Rio Tinto started blasting and drilling a portal beneath sacred Migi zii wa sin (Eagle Rock) in September. They continue to dig deeper with an average of 12 feet per day and corporate plans to begin mine production in 2013. This decision is dissappointing news to Native Americans and environmental groups who have legal, environmental and spiritual concerns regarding the project and they will be considering an option to seek an appeal at the Michigan Court of Appeals. The broader picture for this project includes an unapproved haul road (proposed by the Marquette County Road Commissioners as CR595) through watersheds of Lake Superior and numerous undeveloped wetlands to transport sulfide-bearing ore at Eagle to the Humboldt Mill. The Humboldt Mill is currently undergoing federal EPA Superfund investigation for ongoing contamination leaking off-site from previous deposition of sulfide-bearing tailings at the site. 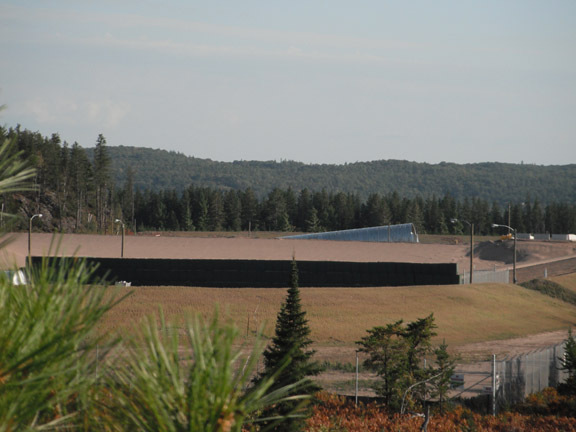 Rio Tinto is also continuing to vigorously explore additional ore bodies within other directions of Eagle Rock and throughout the western Upper Peninsula. Miskwaabik and Biiwaabik, or Manoomin and Niibi? Copper and Iron or Wild Rice and Water? *Reprinted from a publication by Honor the Earth. Representing up to 20% of known iron deposits in the US, around 1-2 billion tons of ore, coal mining giant the Cline Group from Florida has options on 22,5000 acrse of mineral rights from Anderson, MI to just west of Mellen, WI. The deposit is buried 350 feet from the surface, and is 20% iron, in the form of magnetite, to be extracted with high-powered magnets. The mine would stretch in segments over 21 miles, descend 600 to 900 feet and be 1200 feet wide. Copper and nickel are also likely to exist, and with them the risks of sulfide mining. The area is at the headwaters of the Bad River, the largest and most pristine Wisconsin watershed draining into Lake Superior. This is home to 72 species of rare plants and animals and the Anishinaabeg people of Bad River. Some of the best manoomin, wild rice, in the world comes from the Kakogan Sloughs at Bad River. As well, the economies of lakeside communities such as Bayfield, Washburn, and Ashland could be negatively impacted, as contaminants from mining could easily reach Lake Superior. The company worked hard last year at the Wisconsin legislature to secure passage of an Iron Mining Law, intending to circumvent Wisconsin’s strong environmental laws. “Hydrological fluctuations in a very sensitive area – the Sloughs at Bad River and the Bay – will have huge and catastrophic repercussions for my tribe, for my people. Don’t tell me my people aren’t going to die out from this…” ~ Mike Wiggins Jr., Tribal Chairman of the Bad River Tribe. Eagle Rock, on Michigan’s Upper Peninsula, awaits its scheduled end like a convict on death row. Rio Tinto Zinc, a UK-based mining company, plans to demolish Eagle Rock for the sake of mining primarily nickel and copper, but also gold and other precious metals. Eagle Rock is sacred to the Anishinaabe. It has been a seven year battle for the sacred site, marked by arrests and legal actions. In Minnesota, recent moves at the state legislature and regulatory agencies will open up a 40 year old standard which protects water quality in wild rice beds. The Primary reason: new mines are proposed for the Boundary Waters. 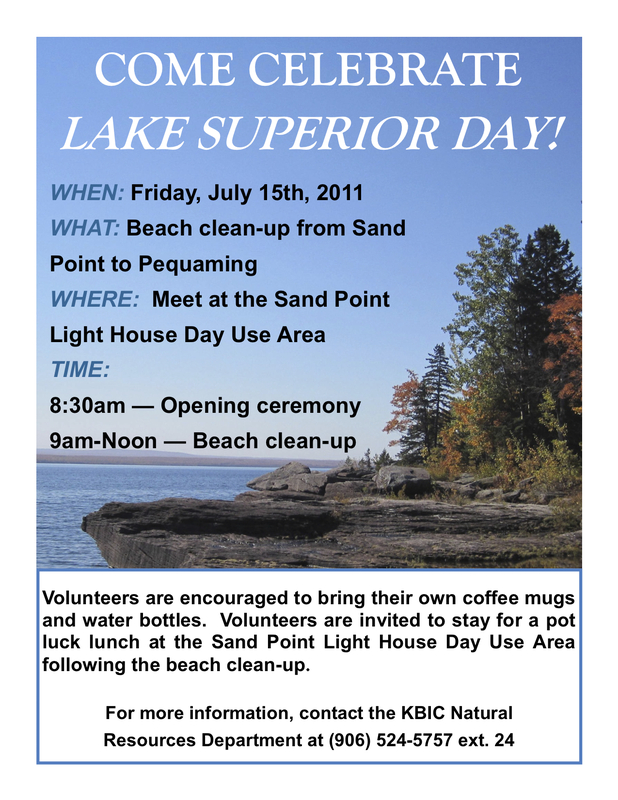 These include U.S. Steel’s proposed Minntac mine expansion, the Franconia project, and Polymet Mines, all to impact the Boundary Waters and the Lake Superior Watershed. The mix of air, water and bacteria of mining means the sulfur will morph into sulfuric acid. This will change the pH of the water system, and liberate heavy metals out of the rock formation. Mining proponents have spent over $20 million. Turns out, that so far, money can’t buy you a clean mine, and more toxins in Lake Superior is bad for wild rice, fish, or a healthy ecosystem. The state regulatory agencies are now considering a change in water quality standards. “Sometimes it seems like people are not interested in sticking around for another thousand years….” ~Mike Wiggins, Tribal Chair at Bad River. The Ojibwe, and many others, actually may want to continue living here, and for the past forty years, have mounted some pretty significant opposition to mining in Anishinaabe Akiing – the Great Lakes Region. On October 28, 2003, the 28-year fight to stop the proposed Crandon mine in northeastern Wisconsin was won. 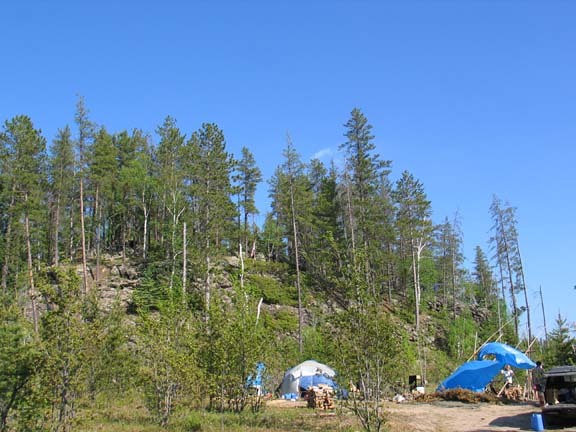 And, the Forest County Potowatami and Mole Lake Sokaogon Ojibwe actually ended up owning and controlling the mine site itself. The tribes paid $16.5 million for the 5,000-acre mine site. The tribes, and many allied farmers and concerned citizens had successfully fought off five major mining corporations in the world. Exxon, and BHP Billiton, now the largest mining corporation in the world. International mining journals in Britain and Canada complained and in 2003, the Vancouver-based Fraser Institute, gave Wisconsin the lowest “Investment Attractiveness Index” of any political unit in the entire world, with a score of 13 out of a possible 10. The White Pine Copper Mine, was the largest employer in the western Upper Peninsula of Michigan. It closed down in 1995 right after the company paid a $4.3 million penalty for violating the Clean Air Act. About 1,000 workers lost their jobs. The company promised, but failed to install a $200 million state of the art smelting facility. Instead, the parent company, injecting 550 million gallons of acid into the underground tunnels only five miles from Lake Superior. In 1996, Bad River Ogitchida blockaded trains supplying sulphuric acid to the White Pine solution mining project. The blockade drew public attention to the larger ecological threat to Lake Superior and hastened the closing of the White Pine copper mine. Walter Bressette put his body on the tracks to stop White Pine Mine trains. We are scraping the bottom of the earth for lower and lower grade ores, and opening up mines in places which should not be mined. We have a wasteful materials economy. American steel consumption per-capita is about three times that of Chinese or ten times that of Indian steel consumption, but the new markets are largely China. One might question why we would destroy the Great Lakes region for steel mills in China. By the 1990s, Americans discarded seven million tons of cans – enough to make 316,000 Boeing 737s a fleet twenty five times the size of the world’s airline fleets combined. Each American consumes 350 aluminum cans per year. Mining companies have underestimated the clean up costs of most mines by up to $2 billion. And many mining operations are still not clean. The water contaminated by the mining companies will be contaminated well into the future, and our region, the Great Lakes, has the largest supply of freshwater in the world. 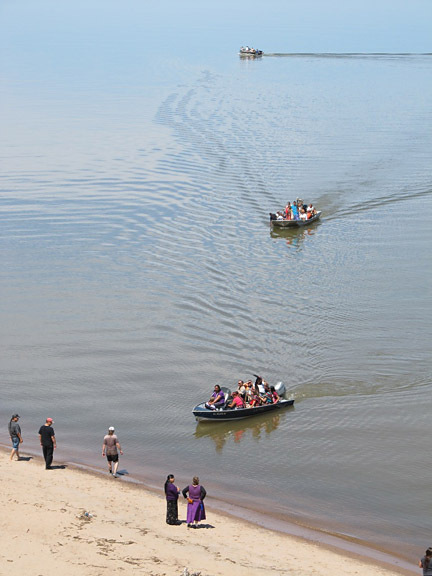 BARAGA — The 2011 Mother Earth Water Walk reached its final destination — Bad River, Wisconsin, in June. 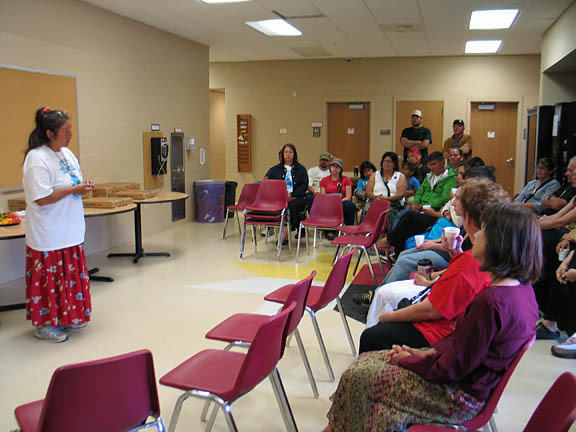 Keweenaw Bay Indian Community (KBIC) members welcomed a group of Water Walkers with a reception and warm hospitality as the group stopped for an overnight rest near Baraga on June 8, a few days before the completion of the walk. 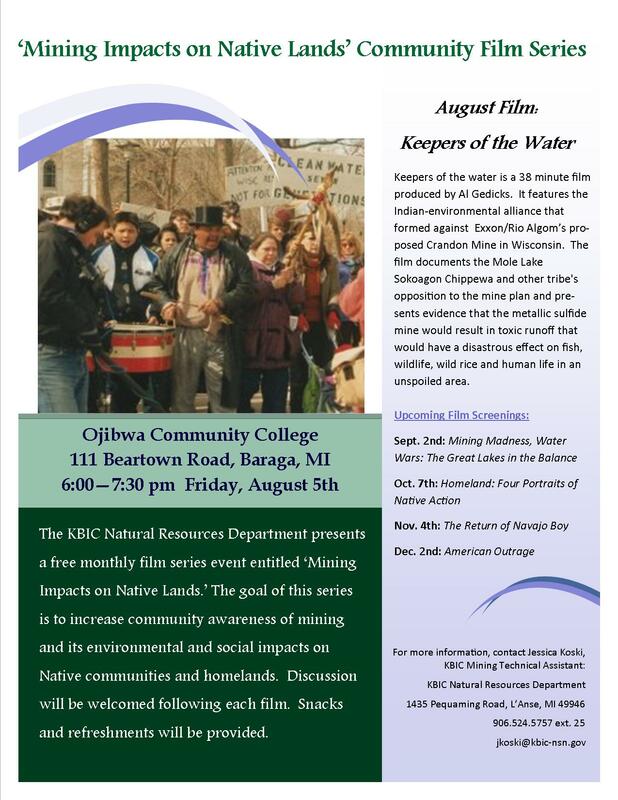 Some KBIC members joined the water walkers for several hours before or after their arrival in Baraga. “It was awesome,” said KBIC member Cory Fountaine. “I met them somewhere out of Marquette, and I walked with them,” he said. Fountaine also carried the eagle staff, which symbolizes the unity of people. 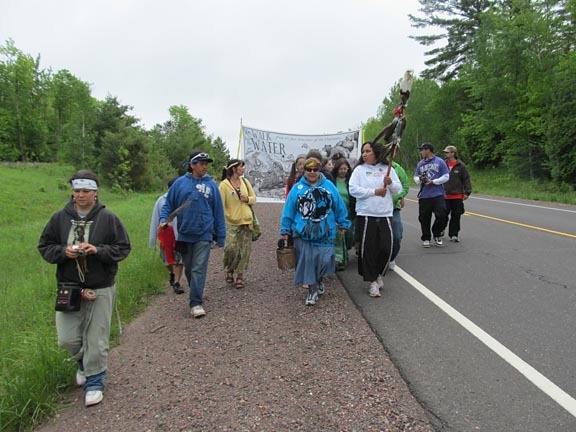 Started by two Anishinaabe grandmothers, joined by a group of Anishinaabe women and men, the water walks began with walks around the Great Lakes: a walk around Lake Superior in 2003, Lake Michigan in 2004, Lake Huron in 2005, Lake Ontario in 2006, Lake Erie in 2007, Lake Michigan in 2008, and the St. Lawrence River in 2009. The 2011 Water Walk united water from the four cardinal directions. Water from the vast Pacific Ocean, from the Gulf of Mexico, from the Atlantic Ocean and from Hudson Bay was gathered in copper pails and carried by hand to the shores of Lake Superior. 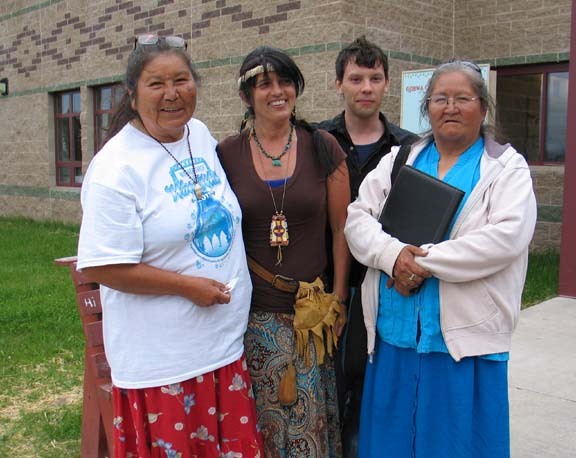 Women from across the continent answered the call to journey over 10,400,000 steps carrying copper pails of sacred salt water, uniting in Bad River, Wis., on June 12, 2011. The lead walkers are elder women from four Indigenous Nations. Walkers from the West began on April 9th in Olympia, Washington. The south started on April 20th from Gulfport, Mississippi. The East departed from Machais, Maine, on May 7th and the North set out May 21st from Winnipeg in Canada. 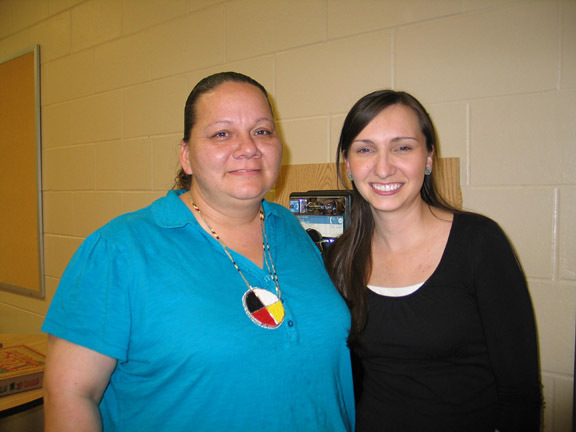 Among the leaders were two sisters from Thunder Bay, Ontario — Josephine Mandamin and Melvina Flamand — who spoke to Keweenaw Bay Indian Community (KBIC) members during the June 8 reception at Ojibwa Community College in Baraga. Water doesn’t stop. It has to flow like the river. It has to keep moving, Mandamin added. “It is a baby. It is a child that we carry from its home territory,” she explained. 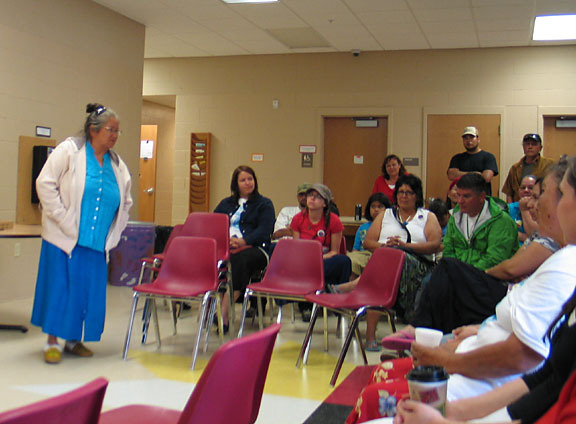 Mandamin said it was important to allow non-native people to walk with the group and help carry the water, since part of the purpose of the walk is to create a collective consciousness. She noted Mother Earth is being abused by the big money-motivated corporations. Money isn’t that important to participants in the walk, Mandamin said, since they rely not on money but on the friendship of people. 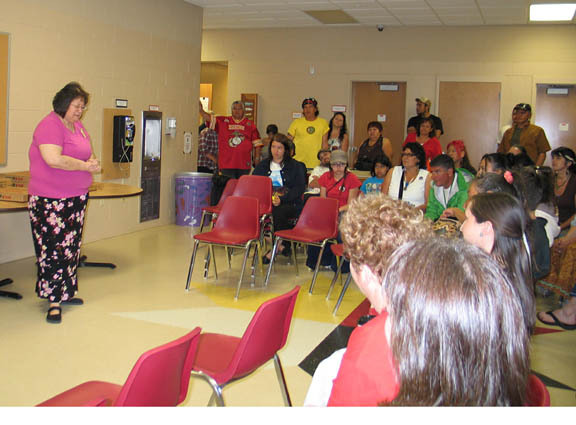 Mandamin’s sister, Melvina Flamand, spoke about the trials and tribulations endured by the water walkers; but her sense of humor was evident. Panoka Walker of Monroe, Mich., a gardener who teaches culture classes like drum making and women’s skills, said she’s been walking with the group for a long time. She came up to the U.P. to meet them and finish this walk with them. Joshua Metansinine of Thunder Bay, Josephine Mandamin’s grandson, said he started this walk on May 7, a month before. Metansinine said he had also participated in walks around Lake Michigan and along the St. Lawrence River. Another one of the younger walkers was Sylvie Forest of Sudbury, Ont., a nursing student at Cambrian College of Laurentian University. “This is the tenth day,” she said of her participation in the walk. 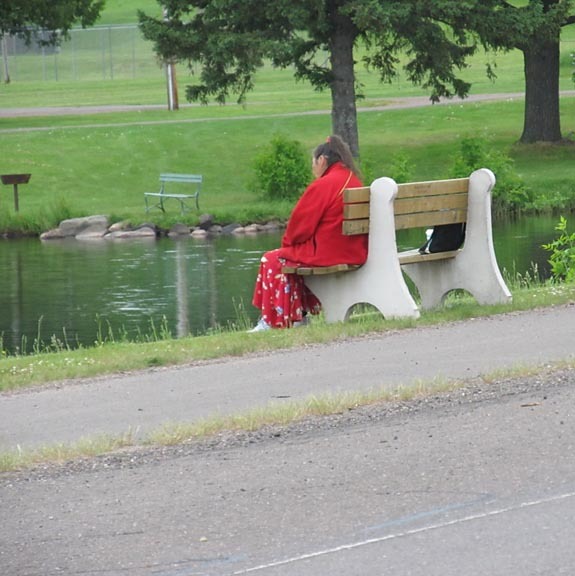 She said she had been walking 12 to 15 hours a day and was planning to go all the way to Bad River. “It just kind of fell in my lap,” she said of her decision to join the walk. Forest said she had met Josephine Mandamin at an elders day at the university in March. “(Her) words about the water resonated in me,” Forest said. She noted also hearing a friend sing the song “Bring me little water, Sylvie” and she had a sort of déjà vu as if she had had a dream. Pauline Knapp-Spruce — KBIC personnel director and co-organizer, with Terri Denomie, of the reception — welcomed the walkers and distributed water bottles (not plastic) and other gifts to them. Spruce said she was reminded of a challenging walk across the Mackinac Bridge and the women walkers’ gratitude to men from Sault Ste. Marie who helped them carry the heavy eagle staff. She noted it’s human beings who have made the water sick. “Each one of us has a responsibility to this water because each one of us has a relationship to this earth,” Spruce said. Terry Denomie, KBIC Head Start and Early Head Start director and co-organizer of the reception, participated in part of the walk with the visitors and stayed with them at Van Riper State Park in Champion. Roxanne Ornelas of Oxford, Ohio, said the group had walked about 38 miles that day. “You just have to make sure you have good shoes (and bandaids),” she said. Ornelas is a professor of geography and women’s studies at Miami University of Ohio and teaches in the Institute of Environmental Science and Sustainability there. “It’s my life’s work,” Ornelas said of the experience of the walk. Ornelas continued to the end of the walk and the closing ceremonies at Bad River, Wisconsin, and sent Keweenaw Now some photos. For more about the Water Walks visit their Web site. We just received news of this video from folks in Yakutat, Alaska near the Tongass National Forest fighting to protect the Yakutat Forelands from mining development. This struggle is a collective struggle we face as Native peoples across this country, and the world, as we fight to protect our traditions and way of life amidst increasing encroachment and development. In the U.S. we need to proactively work together and change our severely outdated mining law created in an era of chaotic gold rush — and close other loopholes created by powerful and well-funded mining lobbying efforts. What is the Mining Law of 1872? In 1872 the West already teemed with miners digging the earth, blasting rock and dreaming of fortunes to be made. The Mining Law of 1872 was passed by Congress to legitimize this booming industry and to aid in the settlement of the vast public lands in the West. Prior to passage of the law there were no formal procedures to guarantee the legal “right” to mining claims. The Mining Law of 1872 gives anyone the right to enter, stake a claim and prospect for minerals on public lands (Forest Service or BLM), no matter what other values may exist there, such as wildlife habitat, recreation, scenic beauty, or water resources. The BLM and other federal agencies regulating “multiple use” public lands often give mining highest priority because of the Mining Law. Unfortunately, once mined, the land is no longer useful for any other purposes. Under the Mining Law there are no provisions for environmental protection and no requirements for reclaiming and restoring the land when the miners are through.